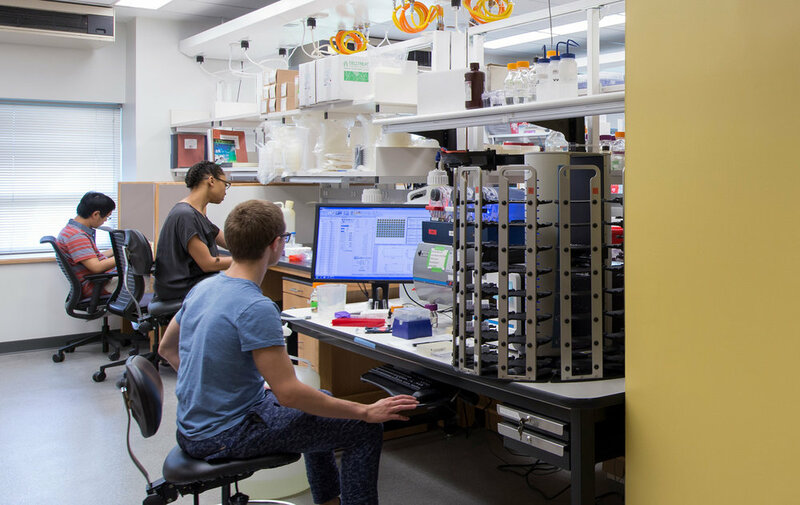 Harvard Medical School’s Laboratory of Systems Pharmacology (LSP) is a multidisciplinary effort within Harvard Program in Therapeutic Sciences (HiTP) that seeks to reinvent the fundamental science underlying the development of new medicines and their use in individual patients. 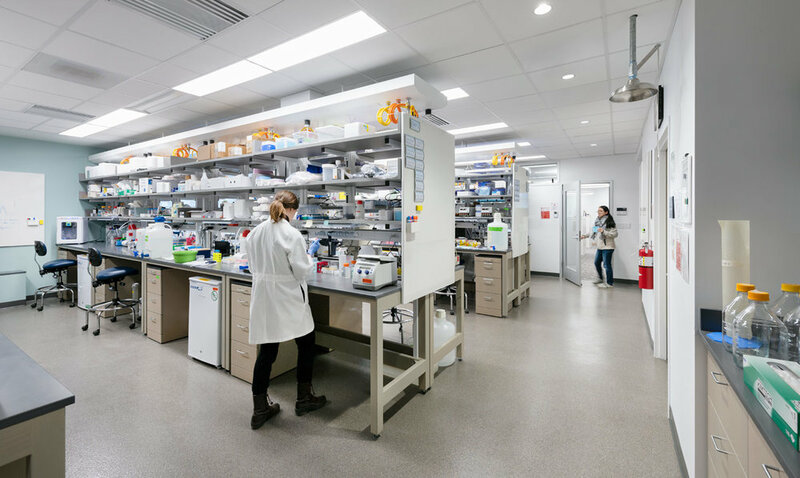 Located on the first floor of the Warren Alpert Building, LSP’s new 4,500 sf lab includes a wet lab, dry lab offices, meeting rooms, tissue culture, equipment and instrument rooms. 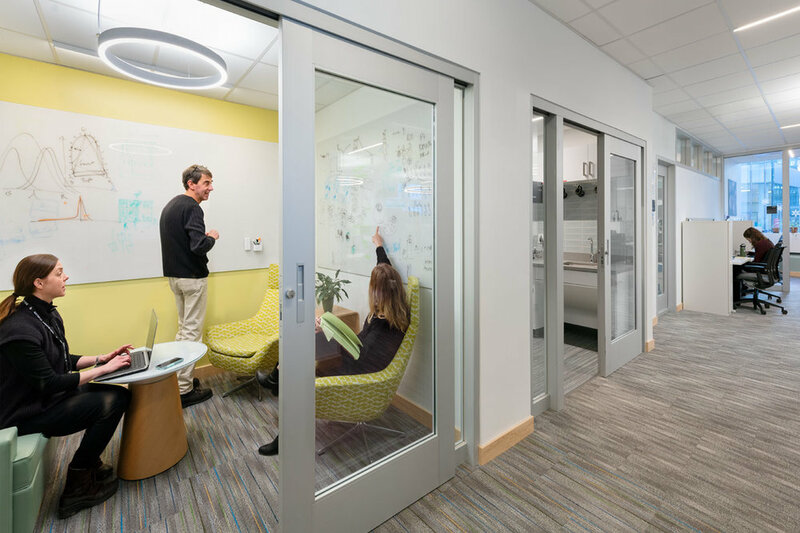 Our design approach sought to create a fresh, collaborative environment for research. 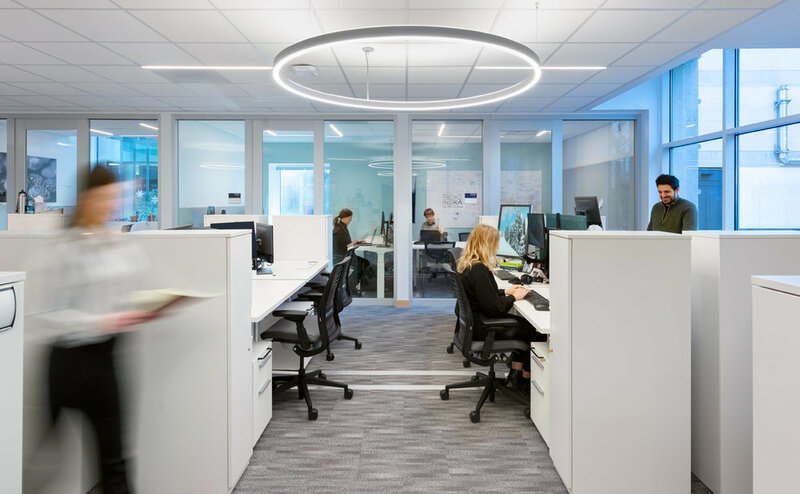 © 2019 MDS/MILLER DYER SPEARS INC.